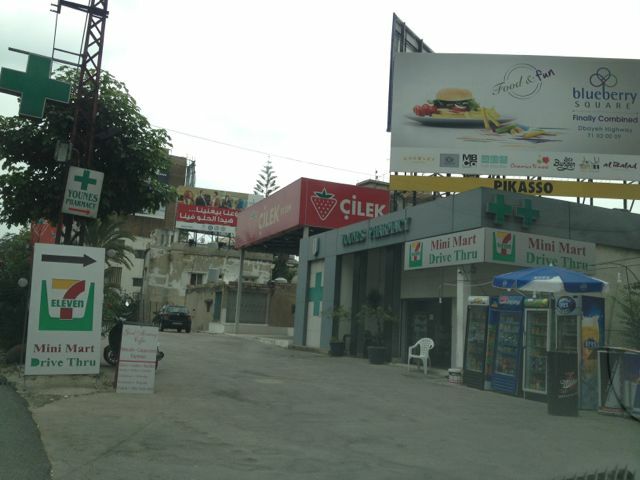 I saw this recently in Jounieh, but I’m having a hard time believing it is an actual “7-Eleven” one of the biggest conveinent store franchises in the US. 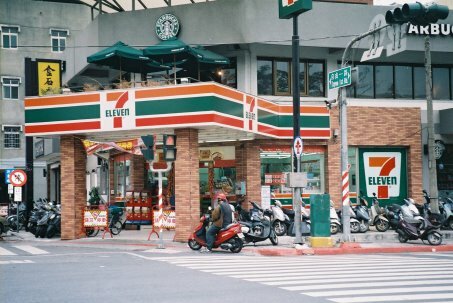 Also judging by their website “7-Eleven” doesn’t have any locations in the Middle East. When I was younger, I remember a Lebanese restaurant called “Manhattan Cafe” used the golden arches of McDonalds as their logo. Meanwhile on TV, major stations use pop music all the time without copyright clearance. Not taking intellectual property seriously also prevails at university campuses, where textbooks are copied openly at bookstores. Perhaps it is unsurprising then, when I teach a course at a local university, that my students continue to plagiarize their papers despite multiple warnings and zeros. There is a feeling–it seems– that you can copy someone else’s work and get away with it. 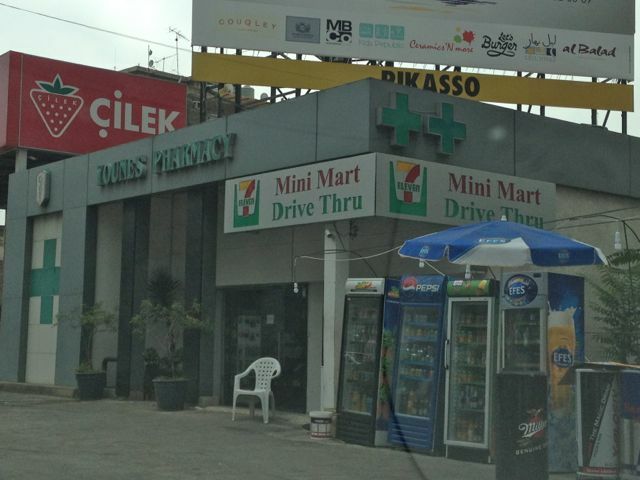 As we can see on the streets and on TV, a lot of local companies are setting a great example. No locations in the ME? 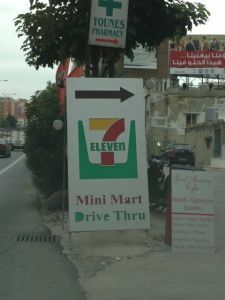 I know there are many 7eleven’s in Dubai, are they not from the same franchise? 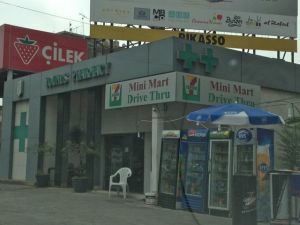 And I like the “drive thru” sign 🙂 Is it really? Or is it another copy-paste? 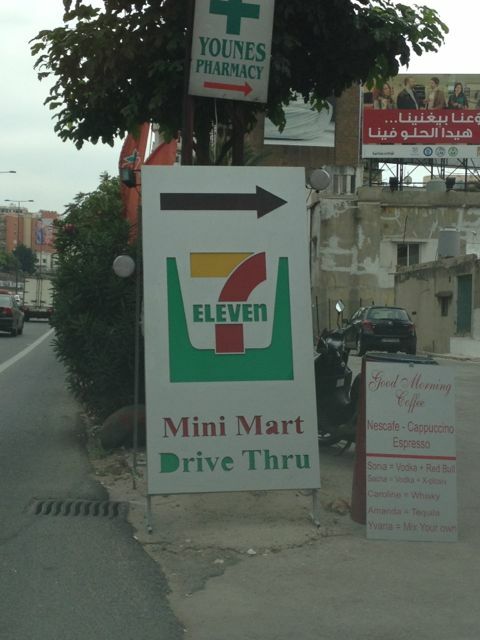 Didn’t try the drive thru, will have to update you if I do.